I made simple bread roll with fried kransky, and finely chopped up kimchi that I used much like a relish. On the side, I had some squash and one quarter of the kransky that wouldn't fit on the roll. 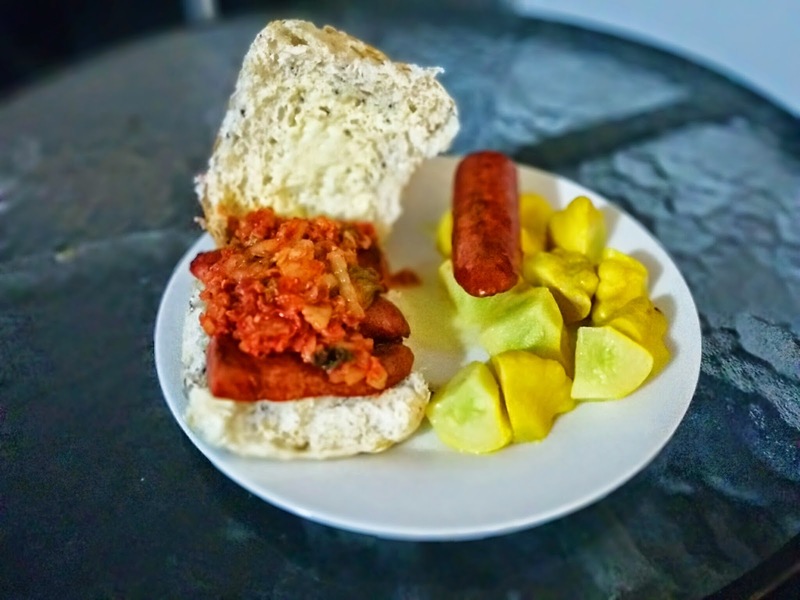 The kimchi hotdog I did very similarly turned out better, I think the whole would have been better with pork mince patty or the kransky already cut in to bite sized pieces. But it doesn't matter. I always say, "It counts as a vegetable!"